Phosphor Bronze Acoustic Guitar Strings wound on Hexagonal Cores. 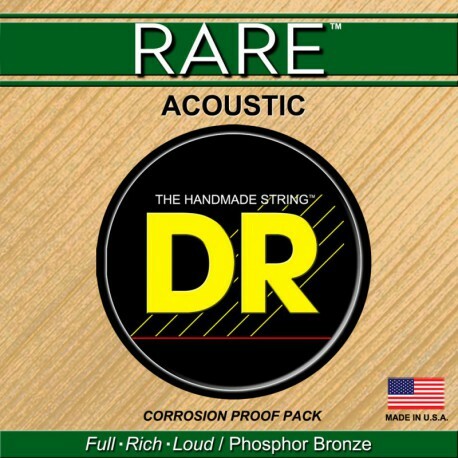 Low tension...the sound is loud and warm.The Rare phosphor bronze acoustic strings are a departure from the standard, good quality bronze string currently available...not necessarily better, but possessing a new, different and stronger “voice”. 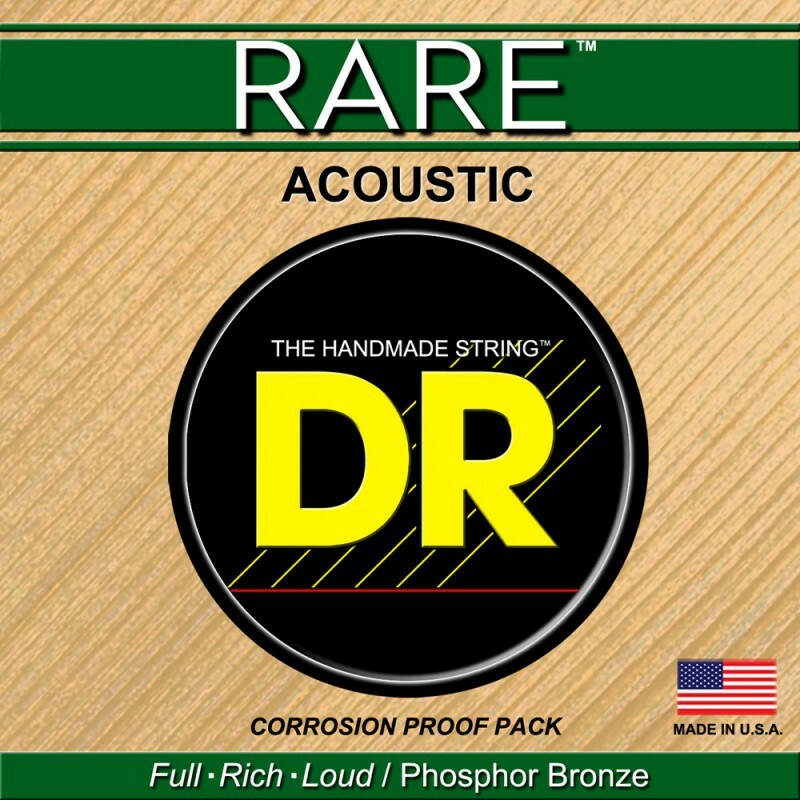 When DR set out to produce a string with new characteristics, our goal was to redesign contemporary thinking about what phosphor bronze can do for a good acoustic guitar. Hand-carved arch-tops, dreadnaughts and good steel string acoustic guitars made of rosewood, maple, and mahogany seem to benefit from a distinct improvement in tone, depth, and sustain with Rare phosphor strings. Players who want a fatter and louder sound, as well as a deeper bottom (who like to hear their guitars ring out) will appreciate the Rare phosphor tone, sound, and feel. According to our heavy-playing bluegrass friend, three time national guitar picking champion Steve Kaufman, Rares last an unusually long time. Steve recommends DR to all his students.